On November 12, a scandal at Hallym University’s Sacred Heart Hospital hit headlines. Video footage of nurses dressed in provocative clothing and performing sexually suggestive dances at an event hosted by the hospital was released to social media. When Mr. Oh, a 25-year-old and member of the North Korean military, stepped into his black military jeep on a cold winter afternoon on November 13, he must have thought out what he was going to do over and over in his head. After the backlash to policies created by President Sung-Chul Shin, students have responded in unison through a vote on the establishment of the Transdisciplinary Major track and through the discussion with the president about his plans to create a mandatory artificial intelligence (AI) course. Professor Hyunjoon Song of the Department of Chemistry, along with Professor Ki Min Nam from Mokpo National University, has developed a metal oxide hybrid optical nanocatalyst in order to increase the methane conversion rate with relatively cheap materials. A collaborative research team led by Professor Hyun Gyu Park’s research team from the Department of Chemical and Biomolecular Engineering has developed a new technology for the sensitive determination of ribonuclease H (RNase H) activity. November 20 saw the return of the KAIST Happy Campus Campaign program. Now in its sixth year, this week-long program aims to offer opportunities for students to gain a mental boost and to provide an outlet for their worries. On November 8, the Department of Aerospace Engineering hosted a special lecture about the James Webb Space Telescope (JWST). This featured guest speakers from Northrop Grumman, the NASA-selected primary contractor for the development of the “premier new space observatory". The Undergraduate Student Council (USC) has judged that menstruation, which exists as a separate issue from conventional medical problems, should be covered by school policies as well. The Menstrual Absence policy will therefore allow students to have menstrual absences officially excused without any attendance score penalties. On November 20, as a speaker at the 2017 Fall Physics Colloquium, President Sung-Chul Shin gave a lecture titled “Preparing KAISTians for a Happy Future”. 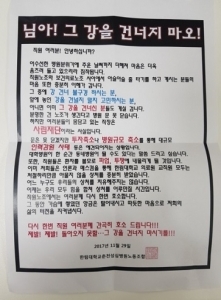 The talk, which was supposed to bring solace to students, caused widespread outrage on the internet forums of KaDaejeon and Bamboo Forest. Through research conducted in collaboration with the Medical Bioconvergence Research Center (Biocon) and Seoul National University Professor Sung Hoon Kim, Professor Kim was able to develop a three-dimensional, laser-scanning biomicroscope. Using this new technology, Professor Kim has created a startup by the name of IVIM Technology, Inc. In a world where new technologies are introduced on a daily basis, many have to spend a large portion of their time learning how to use new tools instead of focusing on what is important to them. On November 13, Chang-Hyeon Song, the founder of Naver Labs, visited KAIST to give a seminar titled “Ambient Intelligence R&D at Naver Labs” at the Information and Electronics Building (E3). 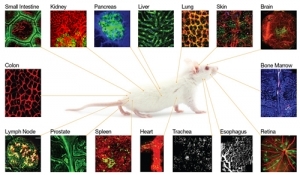 Professor Kwang-Hyun Cho of the Department of Bio and Brain Engineering and his research team successfully identified the principles of the gene network behind colon tumorigenesis. A group of South Korean scientists from Yonsei University has made a breakthrough in the treatment of hair loss. Previous treatments that control the speed of hair growth have had limited effects on hair loss that has already progressed and caused side effects due to the suppression of male hormones. Hence, there was an evident need for a new approach to treating hair loss. At a distance from the Sun around 40 times farther than the Earth, the dwarf planet Pluto is certainly cold. However, its atmospheric temperature of 70 K is 30 K lower than it theoretically should be. Now, a team at the University of California, Santa Cruz has offered an explanation for the mismatch. 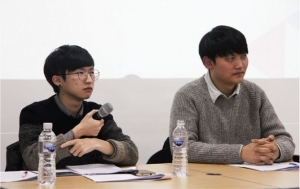 On November 25, the results for the 2018 KAIST Undergraduate Student Council General Election were revealed, announcing the new Undergraduate Student Council (USC) for 2018, BADCHIM. Having won with 1585 votes (78.58%), candidates Jaeseok Lee (Matriculating Class of 2015) and Jinung An (Matriculating Class of 2016) will be the USC President and Vice President, respectively, starting in March. The common consensus that can be felt from various comments in news articles involving court cases against sexual crimes in several popular portal websites such as Naver or Daum is this: stricter punishment for those convicted. Public discontent has been growing, peaking during the 2016-2017 South Korean protests, calling for the long necessary update of the jaded Korean judicial system.